You know who I'm talking about. I'm talking about those successful entrepreneurs who get tons of business and engagement online. Sure, they hustle just as much as you do. They attend the same networking events. But there's a difference. They seem to have much more business than you do. They're closing more deals. They're generating more leads through their website. So what's the difference between you and them? They're probably blogging. They're probably building an online audience that is engaged with their brand. If you're an entrepreneur or solopreneur, you have probably heard of content marketing, right? No doubt you've heard of the importance of creating valuable content for your website. But maybe you haven't taken that first step yet. Blogging is one of the most-used and effective content marketing tools at your disposal. Simply put, if you're not blogging, you're leaving money on the table. ●	Marketers that use blogs get 67% more leads than those who don't. ●	81% of U.S. online consumers trust information and advice from blogs. ●	Companies that blog have 97% more inbound links. ●	61% of U.S. online consumers have made a purchase based on recommendations from a blog. ●	60% of consumers feel more positive about a company after reading custom content on its site. If you're an entrepreneur, you need to consider how you're connecting with your audience. Since you might not have the huge marketing budget of a mega-corporation, you will have to use other means to build and connect with your audience. One of the best ways to do this is by blogging. It's been shown to be highly effective at generating quality leads for your business. Many business owners overlook the potential rewards that blogging can provide. But you're a savvy entrepreneur, so you're not going to make this mistake, are you? This post is going to give you ten benefits that blogging can provide for your business. When you read through this post, you will learn various ways you can use your blog to generate more business, earn more credibility, and make it easier for prospects to find you online. Also, you can use your blog to request feedback from your audience. If you have an engaged following, it's very likely that they will be happy to answer the questions you have. As you probably know, there's not much of a point to having a killer website if nobody can find it. One of the biggest keys to getting more traffic is making sure that people will find your site when they use search engines. As a matter of fact, search engines are the #1 driver of traffic to content websites! SEO is something that you can't ignore if you want to have a viable online presence. The more relevant content you have on your website, the more likely it will be that you will rank for certain keywords. This is where blogging comes in. Consistently publishing high-quality content on your blog will do wonders for your search engine optimization efforts. Engagement is immensely important for any online business. It's not enough to just create great content, you also need to interact with your audience as much as you can. You can't have any success by just talking at your audience. You need to have ongoing conversations with them. It will help you know your audience better. It will help your audience know you better. 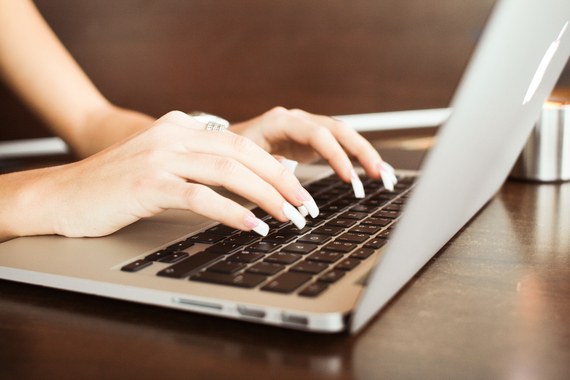 If you enable comments on your blog, you can discuss topics and get feedback directly. This can tell you a lot about your customer base. Not only that, it shows your audience that you are interested in interacting with them. This will increase loyalty and help you form a deeper connection with your audience. For example, if you are a business that sells vegan meat substitutes, you can express your brand's purpose by posting animal welfare material on your site. This shows your audience that your company is focused on something more than just making money. If there's something going on with your service--for example, there will be a planned outage or lack of availability--you don't have to keep your clients in the dark. Having a centralized place to post announcements is extremely important because people don't always read their email. 6) You can offer promotional material. Blogs are also a great place to offer occasional promotions. If you already have an engaged audience that consumes your content, they will be able to see what discounts or promotions you are offering. It's a great way to keep your customer base informed. Sure, you can spread your coupons around Facebook, but it's better to get into the habit of compelling your audience to visit you at your own site, especially if it's an E-Commerce site. Keep them coming back for more by posting your promotions on your blog. Here's a caveat: you don't want to overdo this. While blogs can be great for offering promotions, it shouldn't be used solely for this purpose. Most of your content should focus on offering informational value to your readers. If you only post promotional content, your audience will not continue to visit your blog. This is an opportunity for you to let your personality shine through. When you're writing blog posts, don't smack your reader in the head with a bunch of "corporatespeak." Nobody wants to read that. No really, they don't! "People can't connect with a corporate entity. They connect with real people. If you're willing to show your human side, your prospects will be more willing to trust you." It's much better to write in an informal style that people can relate to. When it comes to blogging, it's not just about what you say, it's about how you say it. Arjun Reddy, founder of Super Baby, builds credibility with his website's "resources" section by giving actionable tips to his visitors. "Our visitors are parents who are looking for fun ways to help their children become smarter. The advice we give in our resources section is designed to provide helpful parenting tips for our readers." By providing value through content, Reddy is showing the reader that they can trust his company. He's building influence by providing value. When you're creating content, you should be asking yourself what your reader is going to get out of that particular piece of content. Each piece of content should be designed to inform, educate, or entertain. If possible, you should do all three! When you have built an audience and gained some notoriety, it can attract other entrepreneurs to you. For an entrepreneur, networking is important, isn't it? If you're able to grow your readership effectively, you will gain more credibility. This will attract other influencers in your niche. You never know who might be paying attention right? This could lead to other opportunities for your business. You might be able to take advantage of the key relationships that you form through your blog. Having a blog gives you a presence in your niche. A blog is a record of quality value and experience that you are bringing to your audience. This will give you instant "street cred" when someone finds your content. Here's the thing, if you're looking to expand your online presence, you need to be creating high-quality content on a consistent basis. A blog is one of the best ways to do this. These are just a few reasons to keep a blog if you're an entrepreneur, but there are many more. Just remember that anything that can bring value to your audience is something that you should consider adding to your business.